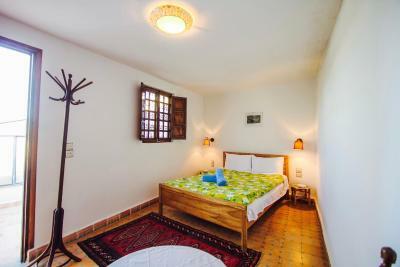 Lock in a great price for Fez Dar – rated 9 by recent guests! 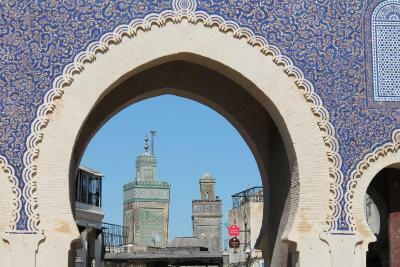 1) Excellent location and proximity to the Blue Gates 2) Warm welcome - when we arrived, we were kindly offered the mint tea and explained the main points of interest in Fez Medina during tea time. Unfortunately, the list of advantages is limited to these points. 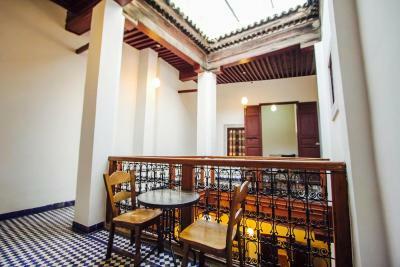 This is a charming hotel in an excellent location in the medina. 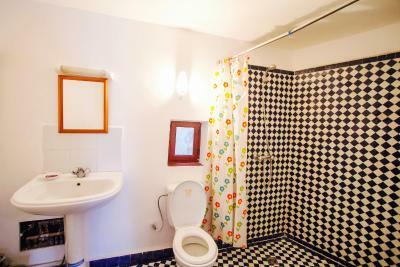 It was very clean and quite comfortable. 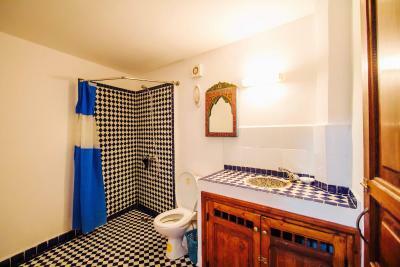 It is decorated in a very attractive Moroccan style. The room was rather large. There was plenty of hot water and heat. I would definitely stay here again. 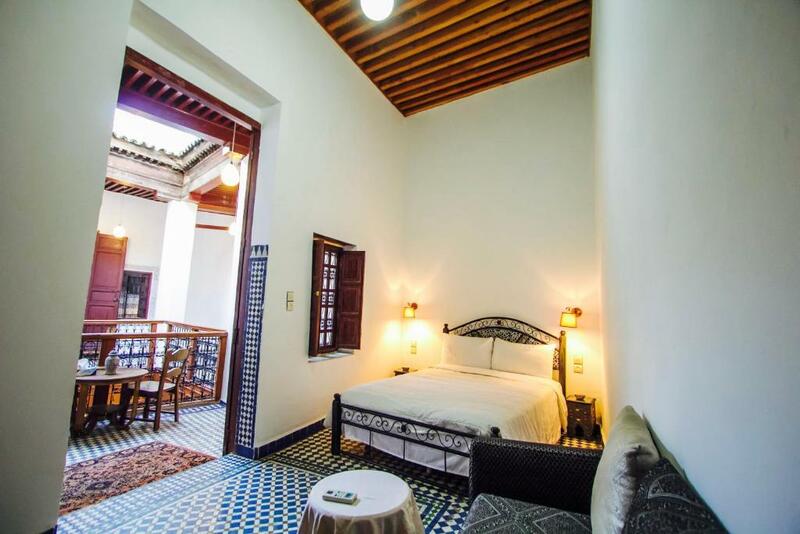 Dar Fez is a lovely newly renovated riad in a perfect location in the heart of the medina, in a quiet alley just a short walk away from the Blue Gate. 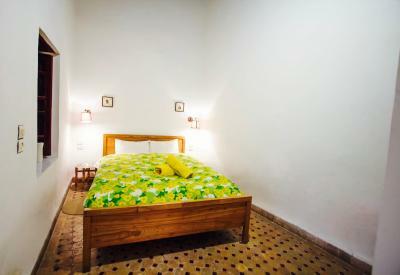 Rooms are clean and equipped with anything you need, breakfast is amazing and wi-fi works perfectly. Katarina, the manager, is super nice and can arrange you extra services (airport pick-up/drop-off, cooking class, guided tours etc) at a very good price. Moha is very friendly and professional, he is always around to assist guests with the best service and a big smile. 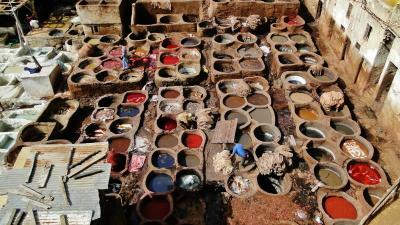 And if you have any question about Fez and Morocco, he will be ready to help with lots of good information. Great experience and best staff ever! This was my first time staying here, and the experience couldn’t have been better, especially considering the inexpensive price of the room. 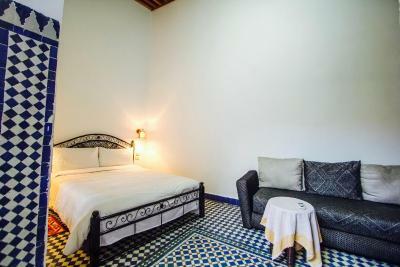 The guesthouse was easy to find (especially compared to other places where I’ve stayed in the medina) and was impeccably clean and very comfortable. The staff was lovely and served a great breakfast! Good WiFi connection, too. 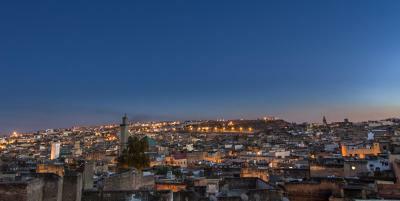 Highly recommend staying here if you’re ever in Fez. The location is very good. It is off the main street about a 5-10 minute walk from Blue Gate. 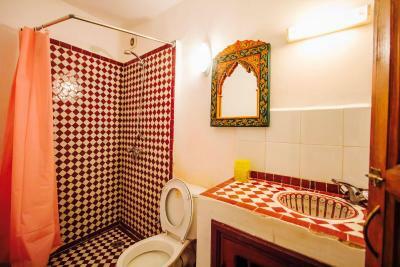 The two brothers that own the Riad are wonderful and will do anything for you. They speak very good English and French. Breakfast was probably the best breakfast after a long desert tour & good music too. Very hardworking individuals and they will do anything to accommodate you. Thank you very much Tarek. place was clean, bed was comfy, bathroom was good, service was great. breakfast was good. great value overall. 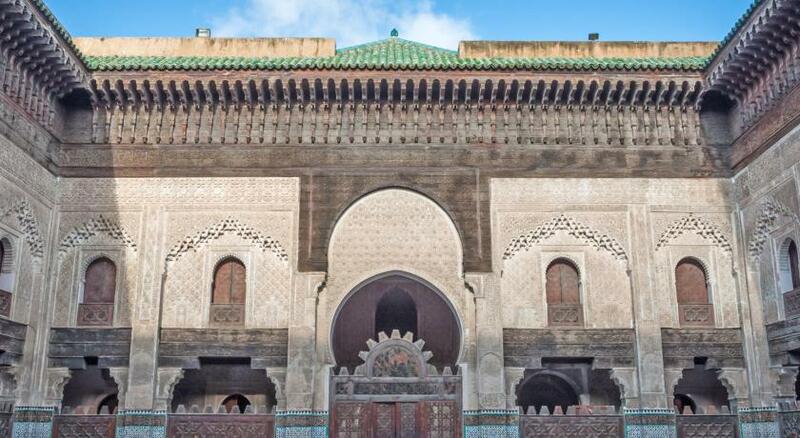 The two brothers, Amine and Tarik were extremely helpful and gracious. They made all their guests feel like royalty. Breakfast was especially wonderful. The air conditioning in the rooms was essential. The younger brother of the owner was quite nice. He would run out to get the morning breakfast. The owner was not. 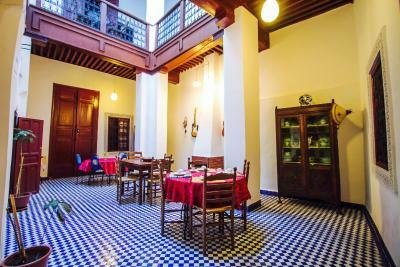 Clean, comfortable, excellent breakfast and the most helpful and hospitable hosts. 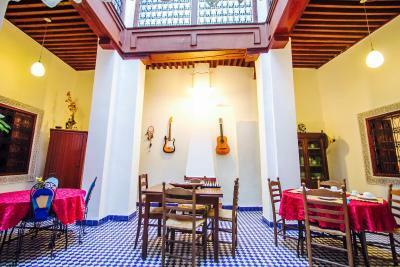 A lovely restored guesthouse, 3 minutes walk from the Parking (which is just a outside the Medina wall (30dn per night)), and which puts you right in the centre of the main sites within the medina. 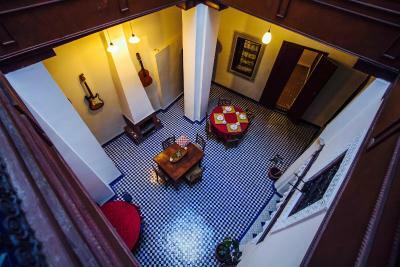 Located in Fez, 2.1 miles from Royal Palace Fes, Fez Dar has accommodations with free WiFi, a terrace and a shared lounge. Some units also have a kitchen equipped with a microwave and a fridge. 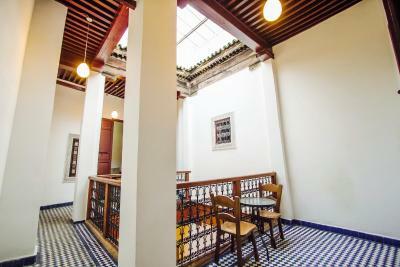 A continental or halal breakfast is served at the property. 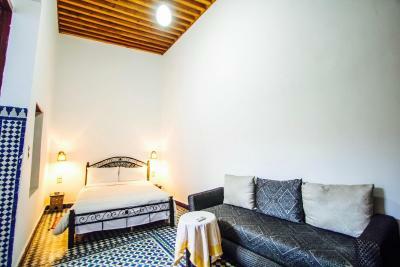 Medersa Bouanania is a 16-minute walk from the bed and breakfast, while Batha Square is 1.1 miles away. 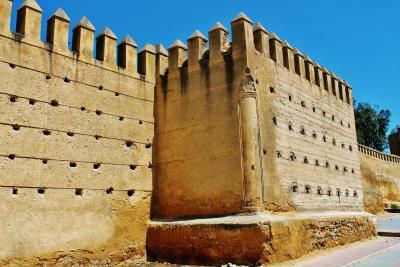 The nearest airport is Fès–Saïs Airport, 11 miles from the property. 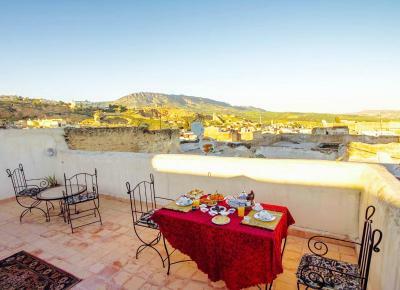 This property also has one of the top-rated locations in Fez! Guests are happier about it compared to other properties in the area. 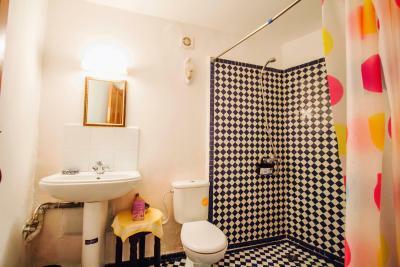 뀐 Located in the top-rated area in Fez, this property has an excellent location score of 9.4! 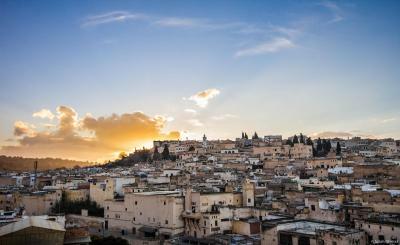 When would you like to stay at Fez Dar? 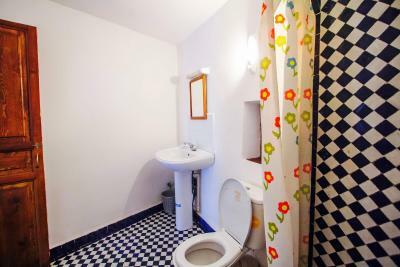 This double room has a microwave, air conditioning and patio. 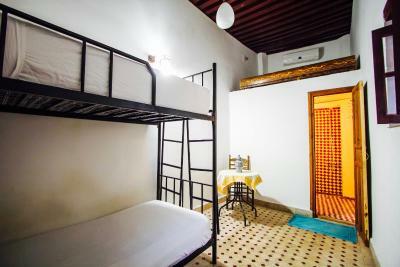 This double room features air conditioning, microwave and patio. 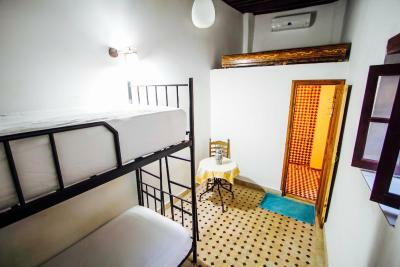 This double room has a patio, air conditioning and microwave. 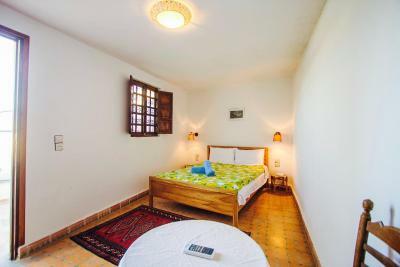 This twin room features a microwave, air conditioning and patio. 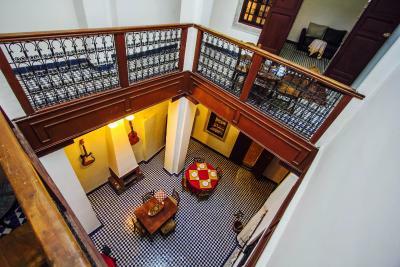 Area Info – This neighborhood is a great choice for travelers interested in street markets, markets and shopping – Check location Excellent location – show map Guests loved walking around the neighborhood! House Rules Fez Dar takes special requests – add in the next step! 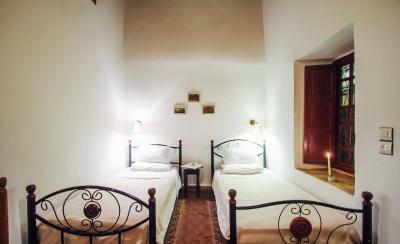 All children under 6 years are charged EUR 8 per night for extra beds. 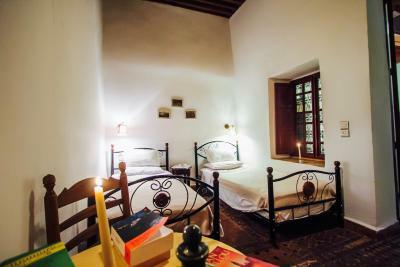 During the booking online we selected the biggest double room among the 3 possible options. On pictures the room had a small table, windows to the street and the terrace. 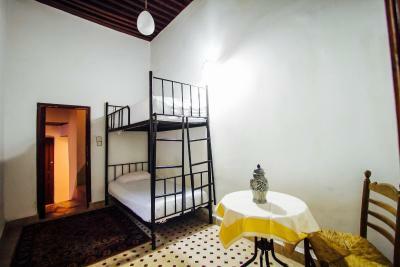 At the time of arrival we got the smallest room in lobby area with only windows towards reception and dining area. 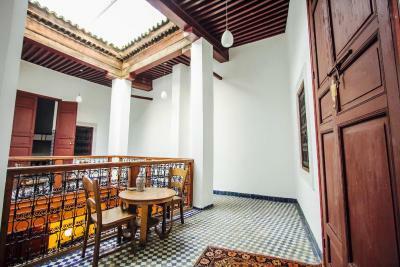 The room with terrace, as we found out later, remained reserved for guests with longer stay. Since the only source of natural light were windows towards dining area, it was quite difficult to enjoy privacy and daylight at the same time. More than this, bad sound isolation made us aware of all the guests conversations during the time they had breakfast right in front of our room, and of course, our sleep in the morning was ruined. There were a lot of dark long hair on the coverlet (cover blanket) when we arrived. 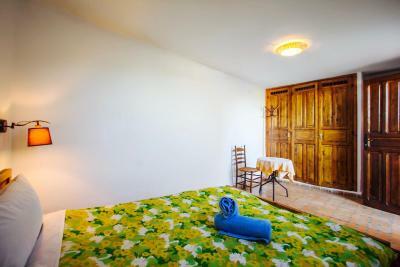 In the description of the room was mentioned microwave, on the picture we noticed a small table next to the bed. In reality, none of that was present. After first night of our stay we asked for a change of the room (the terrace room we booked online was still empty). The receptionist promised to talk to management and find out if it's possible during next 2 (!) hours. 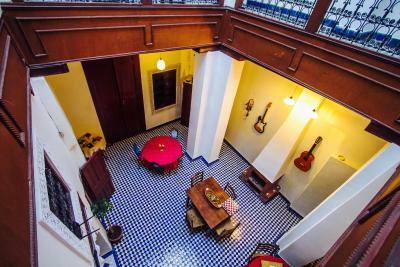 It was our only full day in Fez, so losing 2 hours in the middle of the day awaiting a simple "Yes/No" was not really complying with our plans, especially if a "No" would mean searching another accommodation. In the end, after 40 minutes of waiting we received a "No". The room was reserved for the people with 5 days stay (we stayed just 2). 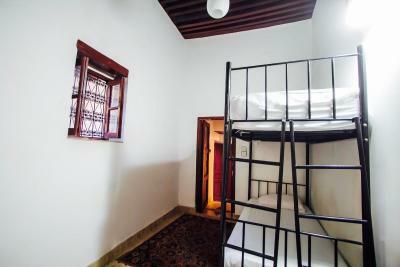 We were offered a single room on another, completely opposite side of medina Fez, in an affiliated hotel, or to move away and pay the whole stay (including the night we would not use). Other options (paying for actual period of stay or changing the room inside hotel) were rejected. 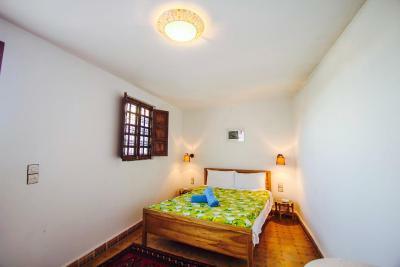 We had nothing to do, but to take the tiny room on another side of Fez in the affiliated hotel. They arranged us a legendary taxi from the airport hehe. Cozy, clean room with comfortable bed and lots of blankets to be warm! ... We sleept like a baby:). Also excellent breakfast and great location:). 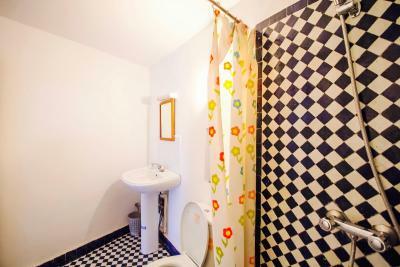 Everything was great and the receptioner was very kind, always available, sociable, always ready for help. all the staff great and very welcoming. Tarik was awesome, and made me feel at home. beautiful hostel and beautiful people. When we asked for help to get a taxi to the train station they provided us with their own private driver who charged over three times the cost of a regular taxi. One member of staff was rude over the phone when we tried to discuss this problem. 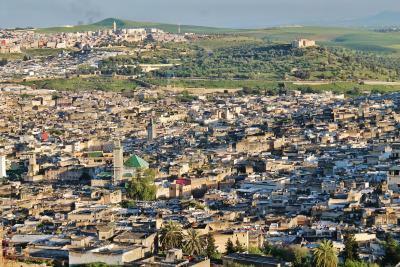 A disappointing way to end our trip in Fes. 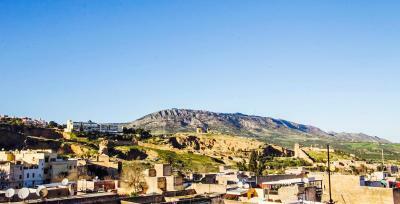 Hotel was in a great location and central to main attractions. Communication prior to our visit was fast and helpful. Tarek was incredibly helpful and went through the map with us before we went out to explore. He gave us detailed guidance on routes and what to see. Breakfast was nice and the room was comfortable. Moha super welcoming, best location, everything was perfect. I highly recommend the place. 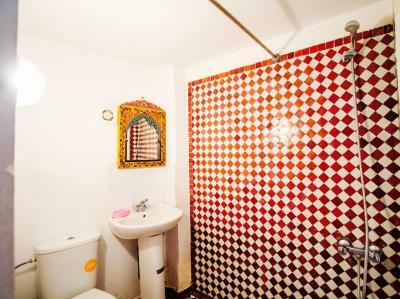 Very friendly people and good central location. Great service and very helpful. 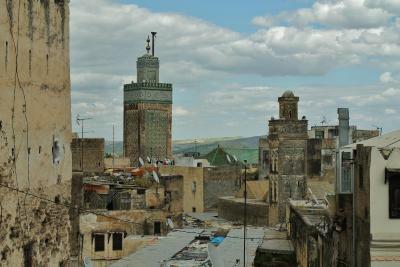 This was one of my many trips to Fez but first time at Fez Dar. I will be back! 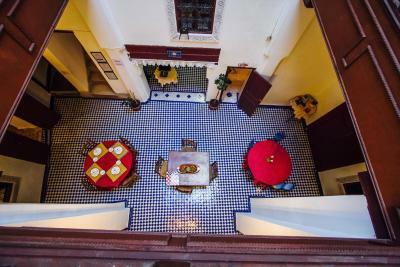 The riad is beautiful, located just off the main street of the medina. The bed was comfy and so were the covers even though it was kind of cold outside. 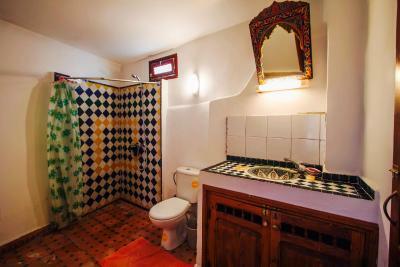 It was important for me to have good internet connection which this riad, as opposed to many places in the medina, offered. The breakfast was served with a smile and the water in the shower was hot. Exceedingly good for the price they ask. We had a wondeful stay. Moha was very helpful and made our stay very pleasant. 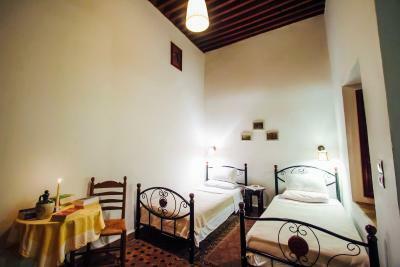 The hostel only offers info on an expensive private tour to the dessert. Information about other options are not available or given. The quality you get for the price is amazing and just what you need. 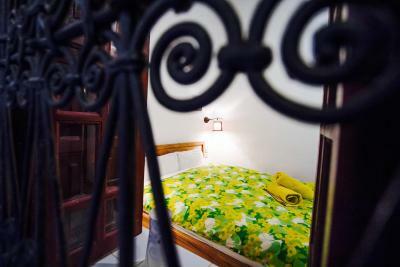 Beds are clean and comfy, rooms spacy, bathrooms wonderful. New staff is very helpfull. Location is superb.